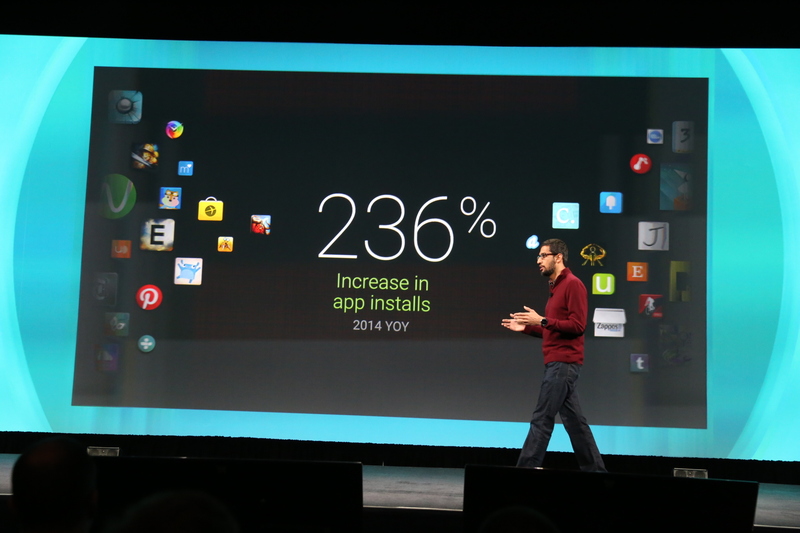 At its Google I/O developer event today, Google provided us with an update on current Android activations. Instead of announcing the usual cumulative numbers, however, Google’s senior VP for Android and Chrome, Sundar Pichai, announced that there are now over 1 billion 30-day active users on the Android platform. Pichai also said that Android tablets now have hit 62 percent of the global Android market and that app installs increased by 236 percent year-over-year. 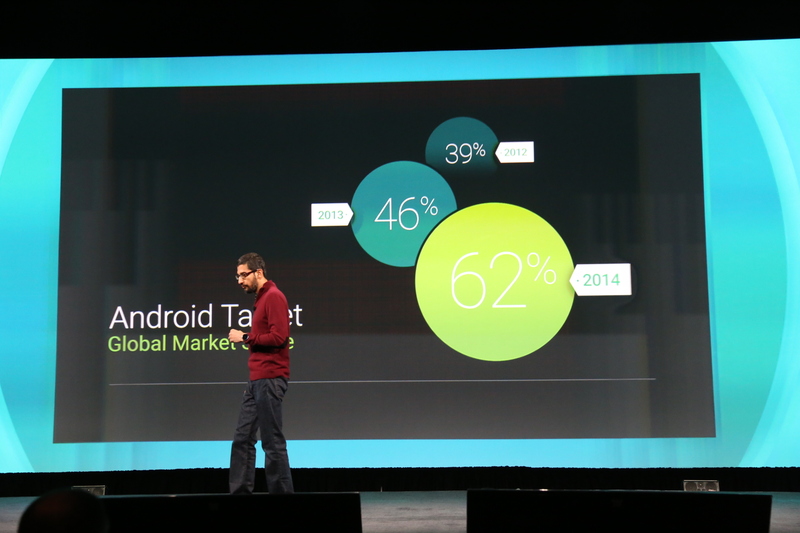 This is the first time Google has provided us with updated numbers since it announced Android 4.4 last year. A year ago, Google said it had reached 900 million activations, and at that time, it was adding about 1.5 million new ones per month. By last September, the company surpassed the 1 billion mark for activated devices.